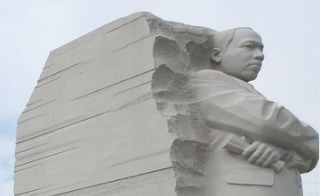 MLK Day: Why Do We Give Back? Dr. Martin Luther King, Jr. has inspired many of us in many different ways. His legacy of service is one that many across our industry will honor on MLK Day this year, including us. With this in mind, we asked our employees to tell us why giving back and serving others means so much to them. Their stories inspire us, and we think they might hit home with you too. After all, “people helping people” is a big part of the credit union difference. You can see more of what employees had to say about volunteering here.